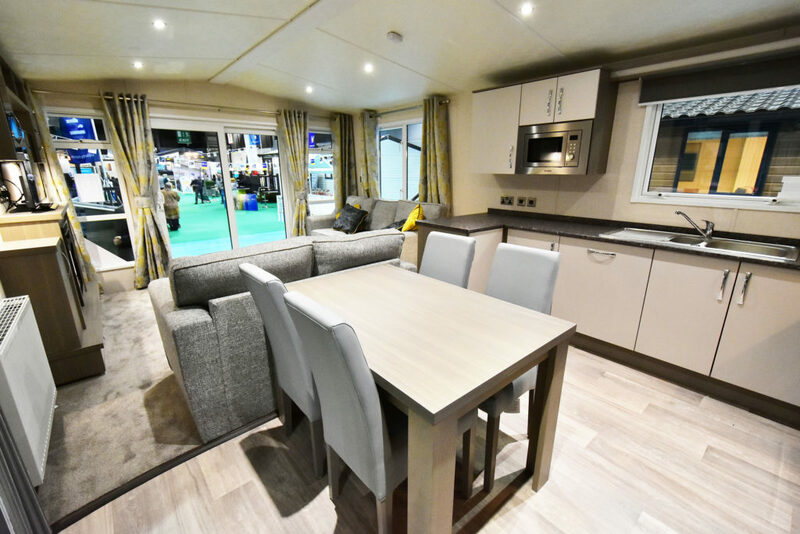 Victory celebrates 10 years of producing some of the best static caravans on the market in 2019. We check out their latest Westpark model and were quietly impressed! 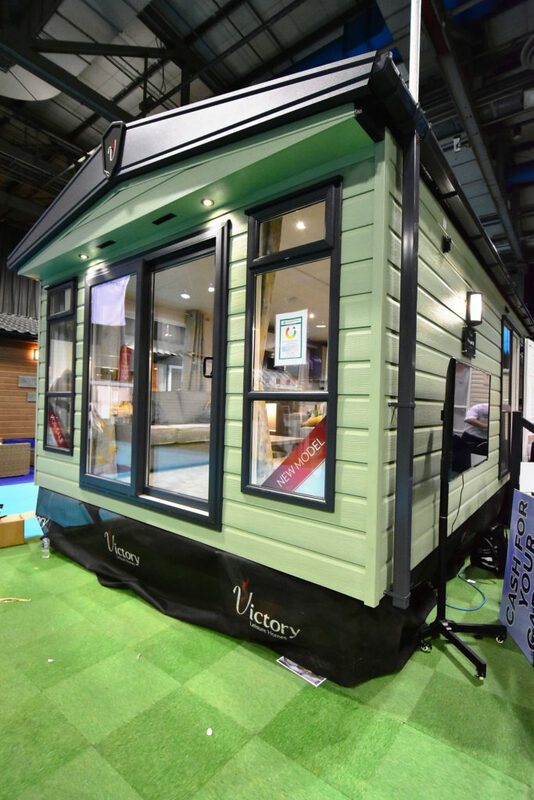 Victory has been around for a decade producing holiday lodges and static caravans, as well as being active in export markets, especially in France. 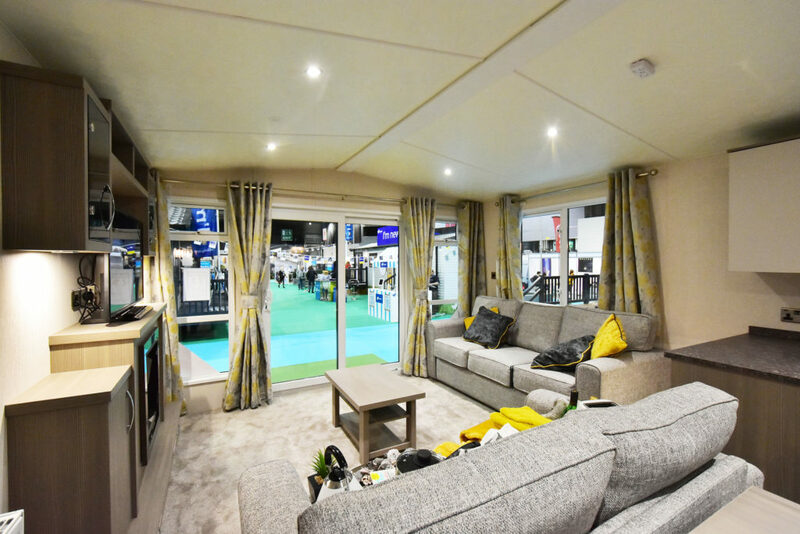 The company produces four ranges of both holiday caravans and lodges and launched two Westpark models at the Lawns Show in Hull last year. We looked at the 38ft x 12ft, which actually measures out at 12ft 6 inches in width – that extra bit of floor space does make a difference! 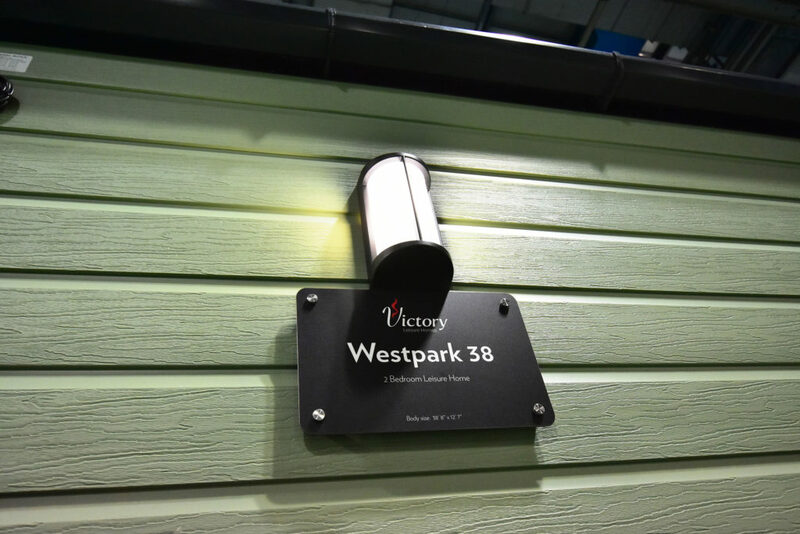 The Westpark is built on a part-galvanised chassis, plus a choice of external colours which feature Artefoam high-performance cladding and a steel pantile, fully insulated roof. Full guttering is a feature and the front has a sliding patio door as well as a side entrance. Step through the front doors and you’re greeted by a large lounge, complete with two free-standing sofas, in a practical grey, which are brought to life with a pop of yellow in the cushions and curtains. There’s a side wall cabinet on the left-hand side, complete with an electric fire and a place for the TV. There’s some good storage here too and a coffee table, plus the integral ceiling lights do a great job at night. The kitchen is directly behind the lounge and features a combined dining table for four (or more). There’s plenty of worktop and cupboard storage in the kitchen, even if you have the optional washing machine added. A microwave and fridge/freezer are also optional, though the four burner hob and full cooker with extractor is standard. 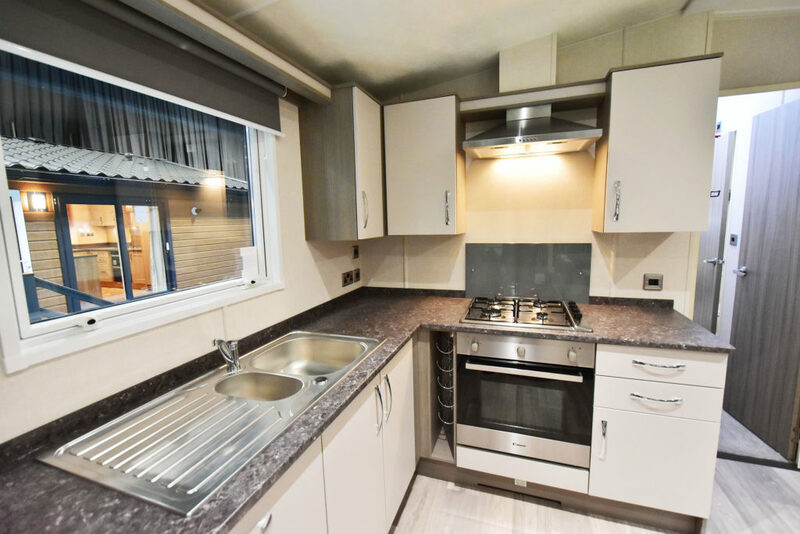 The kitchen has ample cupboard storage and the large side window opposite by the entrance door lets in plenty of natural light into the dining area. As in the rest of the Westpark, mains sockets are also plentiful and where you need them, along with USB charging points. 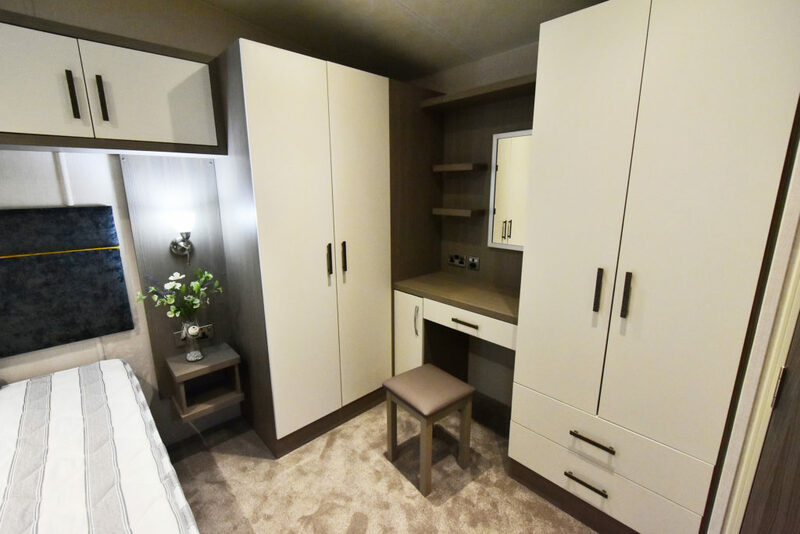 Walking through the small hallway you reach the rear master bedroom – this is a large room which also comes with modern furniture including a built-in dressing table. 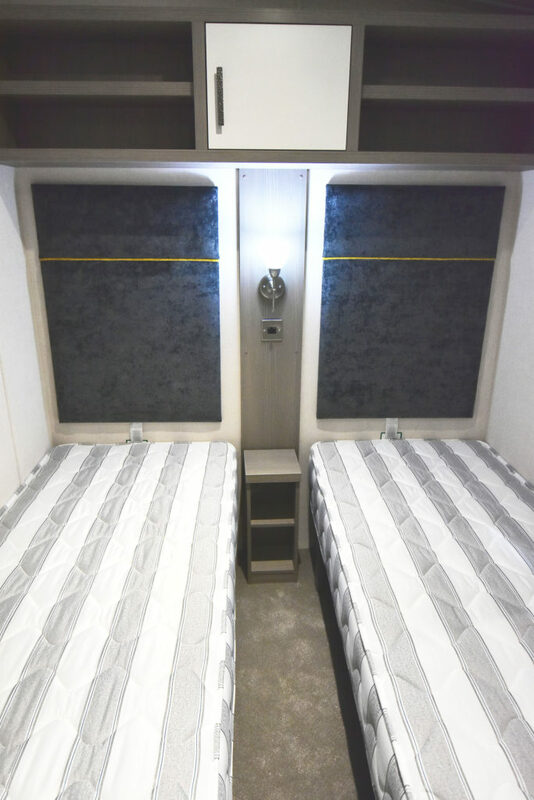 There are two large wardrobes with drawers, plus overhead storage just above the double bed. Floor space is very good so you won’t end up getting in each other’s way. 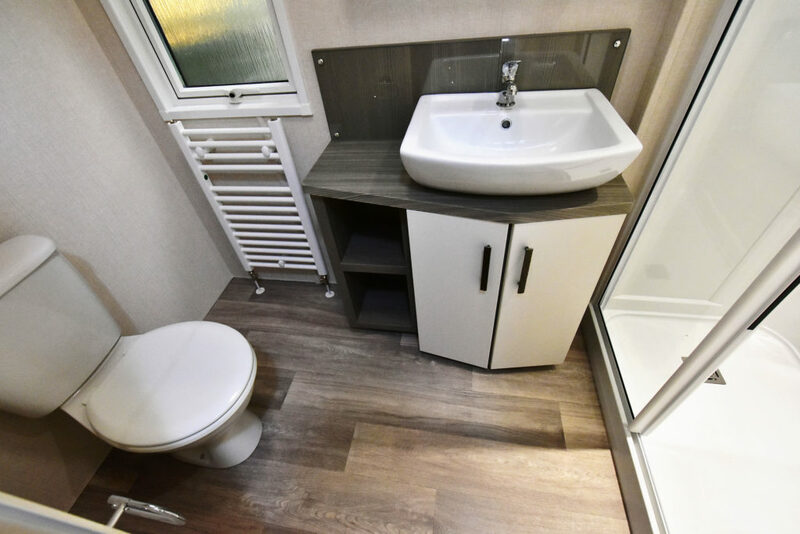 There isn’t a full en-suite to the master bedroom but in the bedroom’s entrance, a door to the right takes you into a small loo with hand basin. The twin bedroom is opposite the communal bathroom. It’s not overly large but you do have two small wardrobes for clothing and an overhead cupboard and shelves above the beds. It really is a room for children, but two adults could use it without too much trouble. 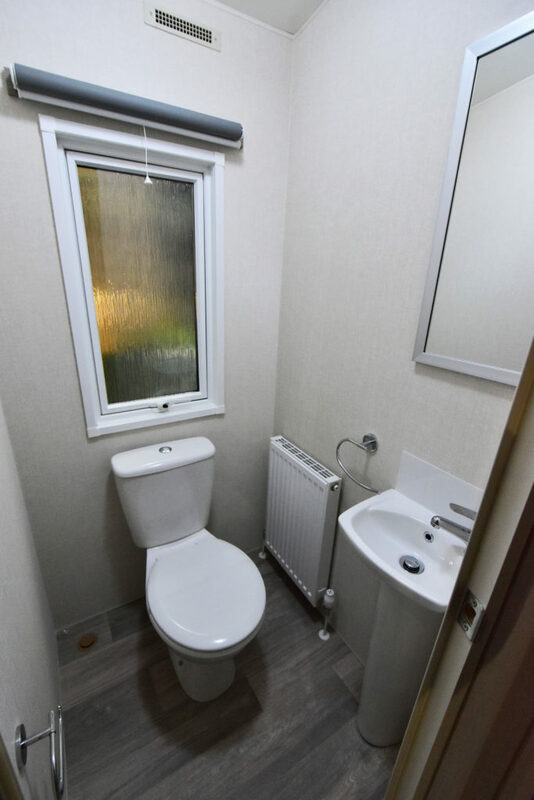 The main bathroom doesn’t have a bath, of course, but it does come with a good sized shower and side window, plus loo and free-standing hand basin. The hand basin also has a practical storage cupboard beneath as well as some handy shelves for towels or toiletries. Verdict: The Westpark is another great addition to the Victory line ups. 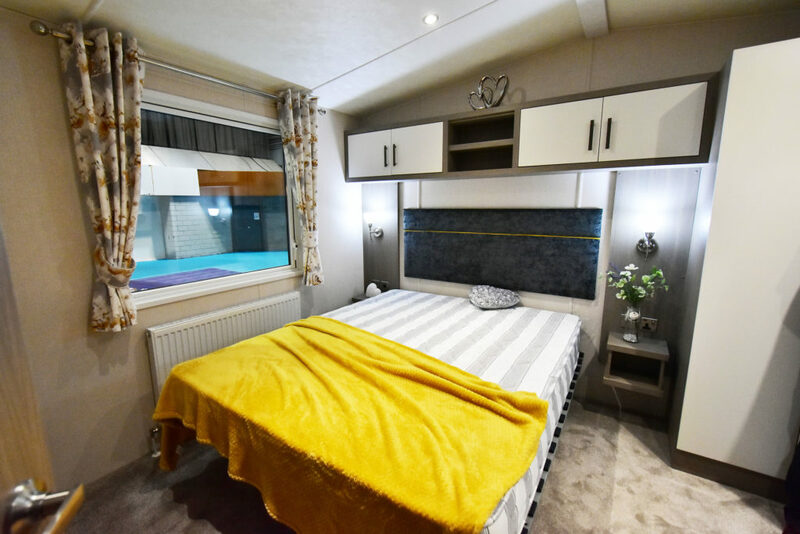 It’s a spacious and modern static caravan which will suit families. We liked the front lounge area with its twin settees and practical storage cabinet. 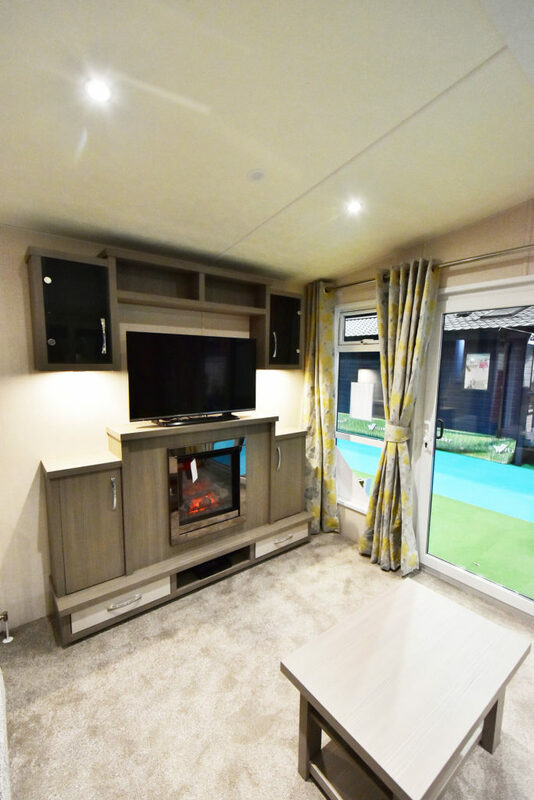 The Westpark is a practical holiday caravan which will make an ideal upgrade to if you have an ageing model. Plus points: Lounge seating area, TV cabinet and storage, large master bedroom. Minus points: Microwave could do with being standard, small corner loo in the master bedroom, twin bedroom a little small for adults. In a nutshell: The Westpark is a good buy, though a full galvanised chassis is an option. For a couple or small family it’s a good introduction to static caravan ownership. For more information visit: www.victoryleisurehomes.co.uk or call 01430 471200. Click here to get your static caravan insurance quote online.